Back Bay Books, 9780316175661, 416pp. Jack and Mabel?s only child is stillborn. How does this affect Mabel?s relationship with Faina? When Jack is injured, Esther and Garret move to their farm to help them. How does this alter Jack and Mabel?s relationship? Much of Jack and Mabel?s sorrow comes from not having a family of their own, and yet they leave their extended family behind to move to Alaska. By the end of the novel, has their sense of family changed? Who would they consider a part of their family? 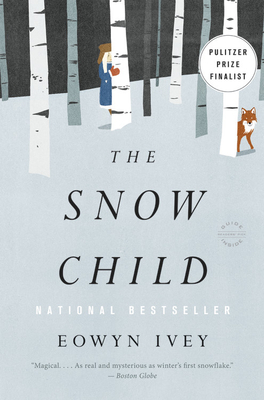 Death comes in many forms in The Snow Child, including Mabel giving birth to a stillborn infant, Jack shooting a moose, Faina slaying a swan, the fox killing a wild bird, Jack and Mabel slaughtering their chickens, and Garrett shooting the fox. Why is this one of the themes of the book and what is the author trying to say about death? What do you believe happened to Faina in the end? Who was she? Read "Creating Personal Miracles" by Reading Group Choices' Neely Kennedy for discussible topics and themes!